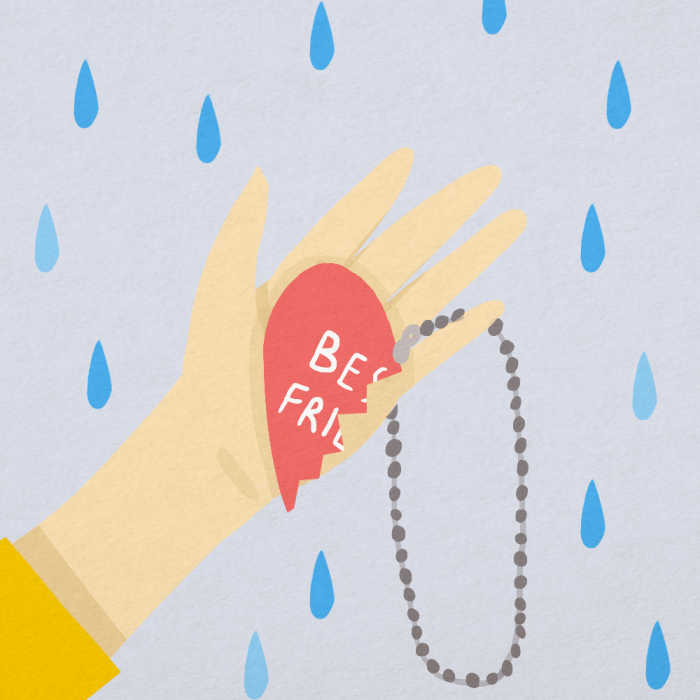 If you've experienced a BFF break-up you'll know all too well just how much it can hurt. In this episode, Mary and Sienna offer insight as to why that is. Not all friendships are built to last, but it can be a complete shock when the foundation comes out from underneath you when you’re least expecting it. Blindsided by the seemingly sudden decision her friend made to end their longterm friendship, Sienna found herself incredibly distraught. Nearly three years later, the events of that BFF break-up still affect her to this day. Mary and Sienna discuss some of the similarities friend break-ups share with their romantic counterparts. Knowledge is power and in order to better understand why BFF break-ups hurt so much, Sienna and Mary decide to do some research on the topic. In some cases, friend break-ups can hurt as much as a romantic break-up does, and usually it can hurt even more depending on the depth of the friendship in question. Breaking Up with a Friend: A Unique Type of Hurtfulness by Seth Meyers Ps. D. for Psychology Today. The unique emotional sting of a ‘friend breakup’ by Zosia Bielski for The Globe and Mail. Getting over a BFF break-up requires a ton of patience and can be very difficult to achieve, but thanks to this article by WikiHow along with Mary and Sienna’s personal experiences. The first step is to accept the decision, which can often be the hardest part. Accepting that people change and taking time to mourn are some of the others steps you can take to recover from a friend break-up, but just remember that time heals all wounds. ← Mid-season Break – Q&A Episode!